Situated approximately 1 mile off of US route 101 lies a quiet and unassuming Californian neighbourhood. The properties are simple and largely unassuming, siting nestled in the heart of Silicon Valley, where the lots are small and the gardens neat and tidy. Many of the properties lies ostensibly within the world-famous Stanford University campus, and most are single story homes rented by unassuming and low-key new graduates from the neighbouring University. In this Santa Margarita avenue lies a property with a garage that formed the first office space of the interest most symbolic company. 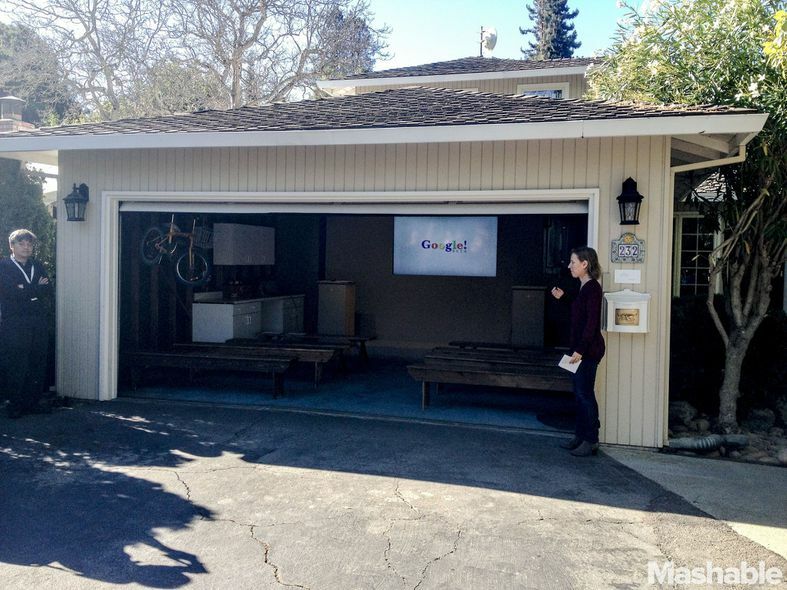 It’s the garage where Google was built. Rewind 15 years to the winter of 1998. The internet was far less ordered and structured, largely because of a search engine war that was ensuing. The market featured such relic names as Dogpile, Altavista and Ask Jeeves, as well as some of the internet 1.0 companies that are still fighting their corner today, like Yahoo. It was into this environment that larry Page and Sergey Brin started developing a search engine that would be so game changing that it would quickly win 90 percent market share in leading markets. In order to develop their fledgling business, Brin and Page needed some space. They stumbled across Susan Wojcicki, a bright woman who had just completed her Stanford degree and who’d just purchased her first home. Wojcicki was tight on cash and with mortgage payments to be made, was quick to accept Brin and Page’s offer of renting out her garage over the winter. 15 years later, and the two co-founders remain at the helm. Larry Page has succeeded Eric Schmidt, who had himself succeeded Page in the companies early days, as CEO. The company orders the world’s information, bids on billions of ad impressions, powers one of the worlds leading email platforms and works on innovative projects such as cars that drive themselves. The company turns over double-digit billions and employs hundreds of thousands of people all around the world. Google is the phenomenon of its age, a colossal of a company that came to define what could be achieved by start-up companies, armed with little funds but huge ambitions. Today the property is owned by Google, as a reminder of the companies roots. As the internet’s most successful story turns 15, below is the garage that spawned the Internets first all-consuming mega-giant. Next articleAlan Mulally Vs Stephen Elop Vs Bill Gates: Who will be the next Microsoft CEO?